Safe & Safe – as it should be. Questions – lots of questions about college basketball – and for every question – an answer! 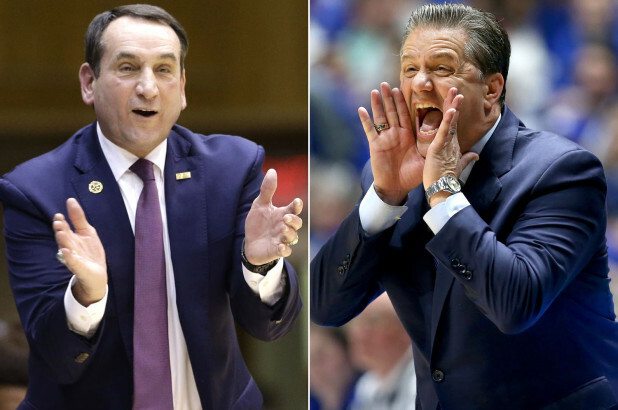 Should Mike Krzyzewski and John Calipari leave Duke and UK, change their recruiting priorities, or keep thrashing with the best talent available? People tend to believe what they last saw, so basketball fans are losing their minds over Kentucky and Duke bowing out before the Final Four in the 2019 NCAA Tournament. Getting to the Final Four is tough. Both games were coin flips – Duke losing 68-67 to Michigan State on a late free throw miss, and UK bowing to Auburn in overtime. Both could have easily advanced to the Final Four, and we would be having an entirely different conversation today. Discussions about John Calipari and Mike Krzyzewski being on some mythical hot seat at Kentucky and Duke are ludicrous. I am no fan of Cal’s, but if I were the athletic director at Kentucky, his job would be safe – real safe. Talk of Duke moving forward to whatever will come after Coach K is being crazy. He’s one of the best coaches in college basketball history – if not the best. We need to slow our hyper-judgmental roll. When the biggest criticism of Calipari is that Kentucky hasn’t been to the Final Four since 2015 after going to four in five years. That speaks more to his overall excellence than it decries his failings. Coach K has been to only two Final Fours since 2004, but he won both those national championships. There are coaches who have been fired and other who will be fired, but Calipari and Krzyzewski are on a short list of coaches who will leave their schools at the time of their choosing, unless there is a Pitino-esque scandal. That list also includes Tom Izzo, Bill Self, John Beilein, Roy Williams, Tony Bennett, and Jay Wright. It’s inviolate. How many Hoosiers are on their way out of Bloomington? Clifton Moore and Vijay Blackmon are transferring from the Indiana Basketball program. Moore’s scholarship will give Archie Miller some flexibility. Blackmon was a walk-on, so no relief there. There are rumors about Archie asking some players to leave as he accelerates the process of building a culture with a roster of guys he feels good about coaching. I don’t like lending credence to rumors, so there are no specifics I’m willing to share. When transfers are reported, we’ll talk about them. Running guys off is something I don’t care for, but if players decide they are a better fit elsewhere, that’s fine by me. They get four years of eligibility. It’s up to them how they are invested. We’ll know when we know. Should Romeo Langford return to Bloomington for his sophomore season? Romeo Langford is dropping down mock draft boards, but that doesn’t mean he won’t be coveted when the end of June rolls around. There is a good chance that Romeo would benefit from sticking around IU for another year, but it sets his clock for contract extensions back a year. Whatever he might glean from another year at IU would be financially offset (and then some) by starting the clock a year later. If Romeo’s back heals and he’s healthy for the combine, it would be a terrible business decision to play a sophomore season at IU. If it’s about happiness, enjoying the moment, and understanding that money will be there down the road, staying in Bloomington makes sense. Is Joey Brunk leaving the Butler program a sign of trouble at Butler? This is likely more about a kid who feels he would be a better fit elsewhere, and not evidence of a problem for LaVall Jordan. Brunk leaving, coupled with Nate Fowler graduating, creates an immediate depth problem at center for the Bulldogs. Where is Brunk going to play during his remaining two years of eligibility? Reports are that IU and Ole Miss have come calling, and that others are interested. Given IU’s immediate need at center, Brunk would appear to be a very solid fit there. Will Purdue fans ever get over Saturday night’s Elite Eight loss to Virginia? They should be over it already. The players will remember it like it happened yesterday for the rest of their lives. Losses never fade for those responsible. Fans should move on to whatever is next in their lives – a bowl of ice cream, going to a movie, or a good night’s sleep. Does Tom Izzo yell too much? Oh yeah. And he’ll be yelling in Minneapolis this weekend. People who are offended by Izzo have no idea what 18-22 year-old college students need to elevate their performance. Accountability from an emotionally honest leader is a good thing. It can come in a variety of forms. Izzo’s obviously works. 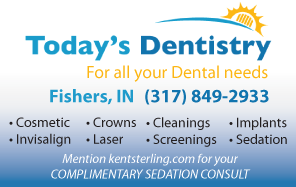 This entry was posted in College Basketball, Featured Story, Indiana Basketball, Kentucky Basketball and tagged hey Brunk, Indiana Basketball, Indiana trasfersJ, John Calipari, Mike Krzyzewski, Romeo Langford on April 1, 2019 by Kent Sterling.